***Source raved about the continued development of Keaontay Ingram. One source actually said, “I’d be surprised if there is a better back in the Big 12”. Given how well he played as a true freshman, not sure that should be a big shock, especially considering the biggest jump guys take is often between freshman and sophomore year. ***Was told that Jordan Whittington and Keaontay Ingram in the game at the same time is going to be very dangerous. In part, because they can put Whittington in motion as a wide receiver (dictating the defensive personnel with both backs in) forcing a linebacker to cover Whittington. Whittington is playing running back but he’s a natural wide receiver. That is going to be a very difficult cover for a linebacker. ***Hearing great things about Malcolm Epps, as well. Was told to expect Collin on one side and Malcolm on the other side to be a real problem. Description of Malcolm is that he’s showing off his basketball background – fluidity, body control and ability to adjust to the ball. Was told he’s already just as much of a red zone threat as Collin is. Was also told that Malcolm may end up being better than both Collin and Lil Jordan when you consider where he already is at this point in his career. Source added that he’s going to be able to take advantage of the fact that the best DB will be covering Collin. Should allow Malcolm to pick up the production. ***A guy I was told to keep an eye on at the cornerback spot is D’Shawn Jamison. Was told he’s been getting some reps with the 1s and at times looks like the best corner out there. ***I am told Bru McCoy did participate in the scrimmage. ***Also, told Jordan Whittington ripped off a pretty big run. *** (From Will) More on Bru. I am told he had 8 catches and 2 TD. That sounds pretty good. At his post-scrimmage press conference, Texas football coach Tom Herman let it be known that freshman linebacker De’Gabriel Floyd has stenosis. Stenosis is a narrowing of the spinal column and Texas does not expect the freshman to play this season. 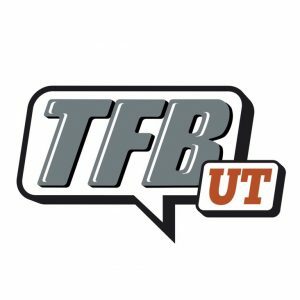 Herman mentioned that De’Gabriel will be re-evaluated in January. As you know, Texas hosted a player I’ve had my eye on for a little while in 2020 DB, Ethan Pouncey (Winter Park, FL). Pouncey is the brother of Texas WR, Jordan Pouncey. Texas has been in touch with Ethan for the past few months and Ethan recently took a visit to Texas. I caught up with Ethan after the visit and he tells me that coach Washington did discuss the possibility of an offer, telling Ethan that they will drop by in the Spring and assuming they like what they see the other will be forthcoming. Pouncey wasn’t able to go through camps like the Opening this winter due to a minor injury but he should be good to go for Spring Ball. *** Barron (5’11” 175) is currently a TCU commit and while Texas has been recruiting him for a while now, they have yet to extend an offer. *** That could change soon and should that happen, they’d be tough to beat (he grew up a Texas fan). *** One other note about Jahdae…he is very close friends with 2020 DL target Princely Umanmielen and his current commit status to TCU has actually played a role in keeping TCU in a good spot with Princely.